As Mid-Autumn festive season approaches, many would come together to celebrate this special occasion with family, friends and loved ones. It’s also the season to indulge in mooncakes and tea as well as keeping a tradition of celebrating this Mid-Autumn with gifts of mooncakes. 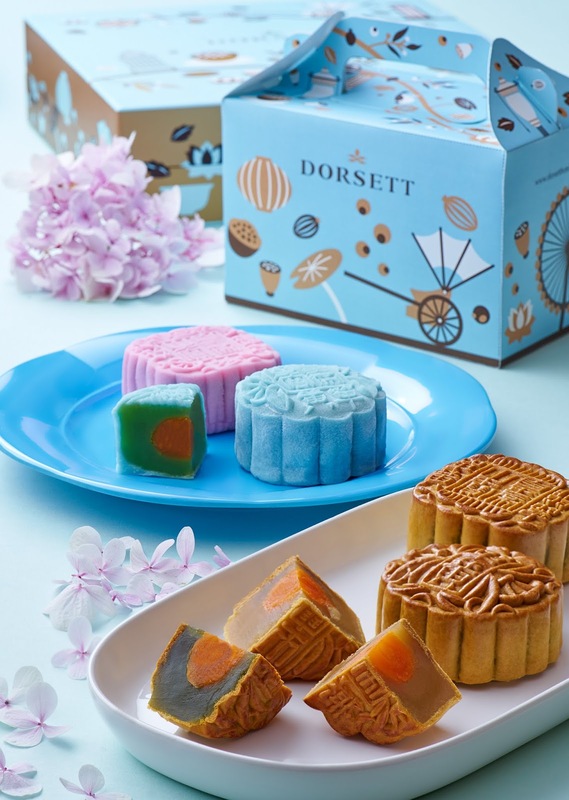 Dorsett Grand Subang is honoring this year’s Mid-Autumn festival with a beautiful Once in a Blue Moon mooncake collections, available from now to 4 October 2017. Master Chef Alex Chan and the culinary team has handcrafted a collection of mooncake varieties with a creative twist. These handcrafted halal mooncakes comes in 11 flavours, featuring 9 baked mooncakes and 2 crystal skin mooncakes. Due to the health consciousness of many, there are 3 low sugar options of Low Sugar White Lotus Paste with Double Yolk, Low Sugar White Lotus Paste with Single Yolk and Low Sugar Pure White Lotus Paste. These are just right for those who wishes to enjoy mooncakes while minding their sugar intake. For those who enjoy the delectable aroma of pandanus leaves, Dorsett Grand Subang is offering 3 types of mooncakes from Pandan Lotus Paste with Single Yolk to Pure Lotus Pandan Paste and Coconut Pandan Paste with Single Yolk. A particular stand out of the trio is the delicious Coconut Pandan Paste with Single Yolk for its clever pairing of sweetness of coconut with pandan flavours that elevates a unique and wonderful aroma and flavour. Classic such as Pure Red Bean Paste never fails to please the many palates of those who deemed such flavours to always be their favorite. There’s also the Six Coarse Grains Paste, a version of the classic Kam Thui, filled with Omega 3 rich ingredients of walnut, melon seeds, pumpkin seeds, rolled oats, black sesame and sunflower kernel. For tea lovers, the Green Tea Paste with Single Yolk exudes a lush green tea essence paired with the delectable moreish salted egg yolk. Dorsett Grand Subang is also offering two crystal skin mooncakes for the modern palates. Helming the limelight this year is Crystal Skin Pandan Lotus Paste with Single Yolk which embodies the Dorsett identity with its snow skin in blue. Chef Alex uses the natural ingredient of Bunga Telang or Blue Pea Flower, known for its health benefit of antioxidants which can lower blood pressure as well as enhancing memory and brain power, to achieve this pretty crystal skin mooncake. Not only is it pretty at sight, the mooncake is delicious too. There is another the classic option of Crystal Skin Red Bean Paste. 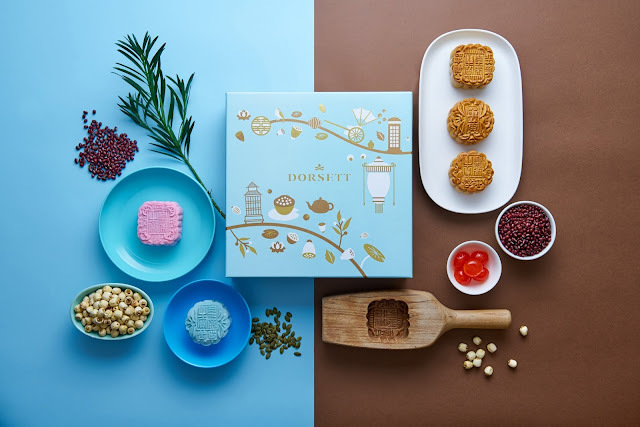 Dorsett Grand Subang mooncakes are presented in a gorgeous blue and brown box lined with intricate Dorsett motifs. 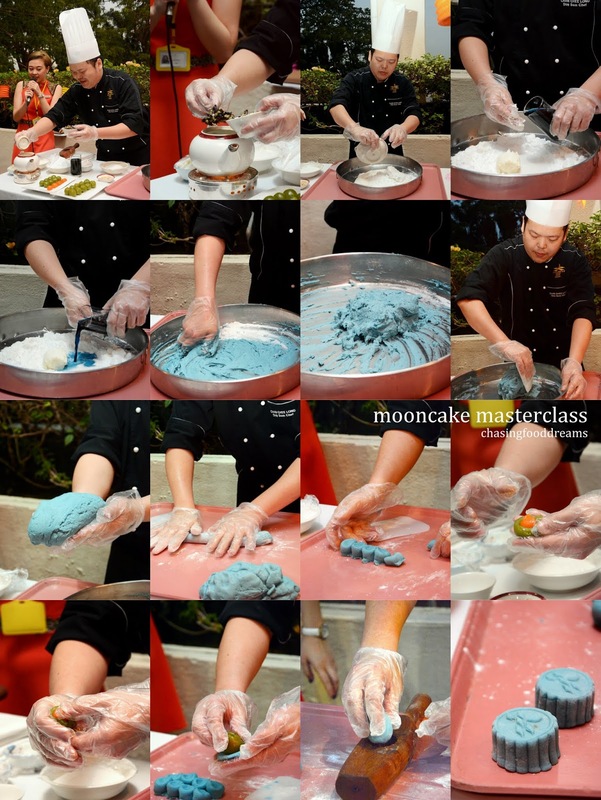 These Once in a Blue Moon mooncakes are available in a box of two (2) and four (4) pieces. These are available at the lobby of the hotel for purchase or at The Emperor Chinese Restaurant at Dorsett Grand Subang. 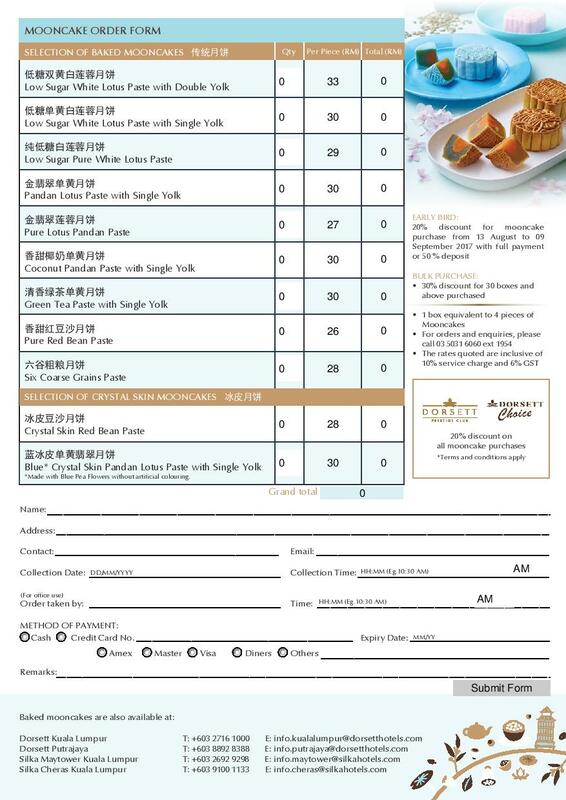 The mooncakes are available for sale between 13 August and 4 October 2017 at Dorsett Grand Subang, Dorsett Kuala Lumpur, Dorsett Putrajaya, Silka Maytower Kuala Lumpur and Silka Cheras Kuala Lumpur. Members of Dorsett Prestige Club and Dorsett Choice are entitled for 20% discount throughout the sale period while purchases before 10 September 2017 enjoy 20% early bird privilege. Meanwhile, bulk purchase of 30 boxes and above are entitled for 30% discount. These food items look so delectable. And I must say you have a real knack for taking attractive pictures. They only add to the appeal of the food items.